I list a whole bunch of ideas from the start and even make the effort to list them for your ease even after you swear at me and you continue to attack me. I'll let others judge who was being helpful and who was not. You listed one option. Canoeing. I'd already expressed that I don't swim and don't have the comfort level in my own ability to navigate Rivers by canoe. So fun and useful option that is.. The other option you gave in picture, not citation, is Klondike Jet boats. A firm that may no longer be currently in operation. I tried to google any direct link to them. I find past co cited links but nothing so far that is direct. Judge? I'm civil with individuals by default, and moreso with individuals that respond that way in kind. If you are determined to not be that I will respond accordingly, as well, as I have in this thread. Finally, I didn't ask for any of your replies and I don't now, with this post. Last edited by Replacement; 20-09-2018 at 10:52 AM. In your own words, take your own advice. Never said that to anybody on line before but I'll say it now. But if you look back, and I wonder at this point if you will, and I've seen you be similarly caustic with others that have left the board, I doubt you take into account you were sarcastic to my posts 8 times in this thread before I responded unpleasantly. I even granted you patience, and that wasn't enough. In the end I responded inevitably to your provocations, as others on this board have before me. That's all. carry on. Last edited by Replacement; 20-09-2018 at 10:53 AM. The issue isn't whether or not there are viable alternatives to the Edmonton Queen that will actually satisfy the need that you've noted. The issue is that you're rallying against the Edmonton Queen because it isn't what you would prefer. I mean, the Edmonton Queen is on the river, so why can't it traverse the entire river and have multiple stops, and do all sorts of other things that it wasn't designed for, and for which there may or may not be a market? It's kind of like strolling into Credo, asking for bubble tea, then getting mad at them because they serve all sorts of other tea and beverages so why not the specialty type that you want? no, its fine Alex, I guess. I can just take my patronage to Vancouver, Winnipeg, even Saskatoon where better for hire options exist. Which I do, regularly enough. I mean its not like we're a river city of 1.3M or anything. To use your example, and please consider this, it would be like Credo being located in a food court and nothing else, no other available vendors in that food court, and me maybe complaining about it or wondering aloud why Edmonton can't have better on a c2E board that endeavors and dares to dream and postulate on better. But I'm a cad for saying it. Last edited by Replacement; 20-09-2018 at 11:05 AM. 20 bucks for ALL DAY usage, as MANY trips as you like. Go several places, get on, get off fares. 20 bucks. 4 bucks for single usage. Even their guided Tours are only 11.50 and go farther than the Edmonton Queen takes passengers. Its great, I love it any time I go to Winnipeg. I can't have that here because, what, Edmonton? Can't we dream and want something better in Edmonton? Last edited by Replacement; 20-09-2018 at 11:15 AM. It's all well and good to ponder about what could be, but it seems like you're stuck on blaming the Queen for not being the one-stop-shop for all things river conveyance, and that's where I took issue. If it was a completely different thread focused on point A to point B river service (I understand you're not able to start threads), then this probably wouldn't have blown out of proportion as it has. Thank you for the reasonable reply Alex. My comments are only in this thread because I don't know where to better put them. Respect of the Edmonton Queen operator to be offering something, but its not serving greater need, pretty limited. In contrast Splash Dash operate every 15mins during summer, they additionally run tours, They operate in several locations through the Winnipeg area and they are often booked full and with even some wait for their water bus service. I can't imagine how huge their annual numbers are. These things are packed any time I've been to Winnipeg. Its a nice service and business. I'd like to think that more people on the river (on the Queen currently) will lead to more interest in ventures like the one you're describing. I know Epcor's Bask On The Sask is getting a lot of people out every year, and Canoeheads makes it accessible for a lot of people. Change takes time. For decades we were told to stay away from the river. Attitudes are changing though. I'd bet within 5 years we see something like what you're talking about. That would be great. I'm not opposed to more staycation options in a river city and I love the river valley environment and hiking, cycling, Snowshoeing, parks etc. Just can't swim and river canoeing or rafting is not my comfort zone. It probably isn't most peoples comfort zone. As well just to frame it Splash Tours out of Winnipeg might get 3K users in one day. Or one summer week certainly judging from the lineups and often packed boats. Once we couldn't even get on the tours. Fully booked. Edit; meant to state 3K/day. typed an added zero by mistake. Last edited by Replacement; 20-09-2018 at 02:51 PM. 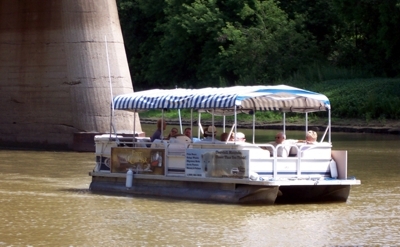 30,000 passengers per day for boat tours in Winnipeg? Really? ^ Ya, I'm highly doubting that number myself. 300 a day I might believe. They'd have to have 200 boats on the river to accommodate 30K people a day. So far what I'm seeing is estimates of 600 users /day. That's not at all consistent with what I've seen as these boats seem very busy in Weekends in Winnipeg. Its a great service and gets fantastic reviews. Looks like its not embraced as well as it should be. Its a great way for visitors to get around in Winnipeg. as they say no traffic lights, stop lights, traffic, only ducks..
My guestimate was around 2k on an average day from first hand viewing. Last edited by Replacement; 20-09-2018 at 01:57 PM. How many feet above the water is the top of the riverbank in Winnipeg? 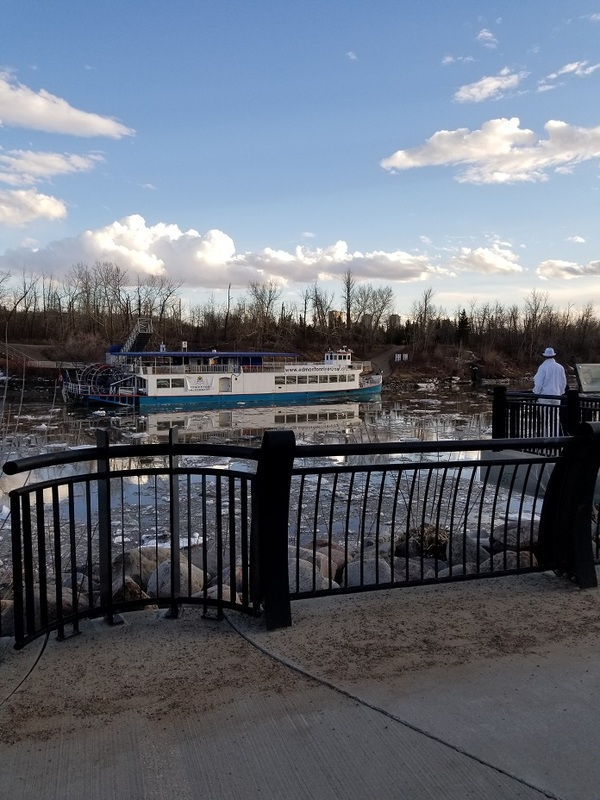 You are not going to see people using a water taxi in Edmonton to go from one location to another. Why are you going on about the 300 a day use when you threw 30,000 a day out there? Which number might be closer to the truth? Already edited the post to say 3K. I agree it would be harder in Edmonton due to our deep river bank but several attractive locations are river bank assessible. I've mentioned these already in the thread. From a tourist pov interesting anyway. Also with Funicular, SCC, there is convenient access to the DT from the river. But you are correct in that the Edmonton river bank is more of a challenge. 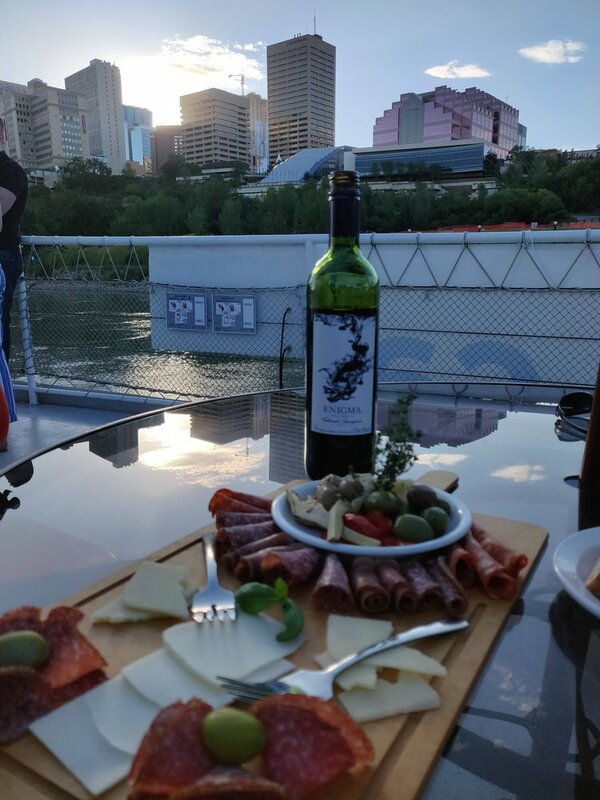 But imagine how wonderful it would be for visitors to attend Heritage Fest, Folk Fest, Taste of Edmonton etc and just hop on a boat and see the river and explore Edmonton and river Valley. With attractions like Valley Zoo, Fort Edmonton, Leg, LMP, Remax park and multiple communities contained right in the river valley. I think this would really be an impetus to river usage and exploring. Do I recall replacement accusing kcantor in this thread of editing his posts when he clearly did not? Replacement, you are a real piece of work. Seek professional help. Holy cow. Has the Queen gotten off Replacement's lawn yet? I marked the post as edited, quite clearly. What is your penchant btw for telling others to seek medical advice. I'm about the 10th person on this board you've said that to. Speaking of you being a piece of work. Myself I would think the suggestion that somebody else needs "professional help" is a fairly reprehensible thing to state but I'll leave that as your own conduct. But enough as this as I happen to know from others you enjoy this nature of exchange. Last edited by Replacement; 20-09-2018 at 06:08 PM. heh, sorry. I'll leave the thread if no other discussion on this is wanted. If people respond with more then I'm not making promises. Listen, all perspective is important for that is how we come up with a solid strategy. On one hand the QM could work, but on the other hand, it has proven to be a fail as there has been two pervious owners, so Replacement contention has some merit. The success of the whole river, going forward, is how do we activate the whole convention area so they're symbiotic to each other. If QM is the only attraction, i can't see longterm success. How can we mitigate a stronger sustainability? We need the beach, we need development on the Convention centre side; we need develoment to Walterdale power plant area. All three area have to work in conjunction to bring in the mass. How do we develope distinctions to the three area so it does not compete for the same market is the key. Can we incorporate a taxi concept from West end/Fort Edmonton down to this area? Take all and promote it as an event for the day. Some frown on Replacement on the cost, but, while you folks are financially above water, what about the population that is not as fortunate? Can we have something on a more frugal scale , so they are part of the community? Ironically, just minutes ago, Global Local news stated 130k Edmontonians are living in poverty - that is the entire city and metro of Red Deer living uncomfortably. Pertain to depth of water, I did recall QM got stuck on the river with passenger as well as at the dock zone, so there is contention there as well. Let's flex our brains a little and go beyond our personal experience that has molded our personal perspective. Look at Van with Grandville Island... they have those small boats that ⛴ people back and forth, so can that be applied here? I'm all for viewing a good cat scrap, but make sure it is worth your while and not this. < . Even I was surprised by the interior finishes and live bands too! This is on my bucket list for next summer! A great replacement for cheesy pontoon boats like they have in Winterpeg! Edmontonian's ride the river in style! For clarity Splash Dash River tours in Winnipeg operates from May long Weekend through to Thanksgiiving long weekend. Quite a decent run, and not just July August. Its 5mths of operation, not two. Again the tour is only 11.50. The length of the Splash Dash water bus routes is also longer than what is cited above. its possible that there is confusion between the Tour boat operation, and the water bus operation, in the post above. Finally, I uncovered that the numbers were drastically down in recent years in Winnipeg (I was last there in 2014 as there was a lot of destruction of the docks due to the 2016 causeway flooding in a year that the region was really hard hit with flooding. Docks have been rebuilt now I believe but not all of the facets have been able to operate in recent years. A couple years only the tour was able to operate due to the flooding and docks damage. Thus overall numbers being down. Last edited by Replacement; 20-09-2018 at 09:52 PM. I actually laughed at this. We usually get along, that's whats so strange about this thread. either PRT or me, or both, are eating crazy crackers. Sure not my best moments in this thread anyway. Last edited by Replacement; 20-09-2018 at 11:21 PM. Heh, everyone has their moments. The first picture of PRT post above is also needed in this city; this will allow for those that can't manage 39.00-49.00/person. Get that beach done then focus on the Convention centre area. Perhaps a flower park akin to Victoria would be great which would compliment the Convention centre. Perhaps the Walterdale plant can become an area for restaurants, flea/craft matkets and all the goods complimentary to Grandville. Convention goers to our city would get complimentary passes to ride these boats which may spur them to attend QM. The key in places like this is non competing optics and services; as well, an ambience of mass. We all want to be where the action is, but action can't happen unless a platform is offered. At LMP, we have that great outdoor symposium, encourage stuff like a Tai Chai gathering daily; 3 on 3 world basketball competition, and so. We have events already like the dragon boat race. Let's get some coffee, ice cream and refreshment shops there. The very initial impetus has to be that beach- accidental it may be... that is the bait the fish will get hooked on, and it will just be a domino affect afterwards. In all honesty, I wish for the success of QM, but when she is all alone, she'll slowly die like her previous adventures with previous owners. Who enjoys being all alone? I accept your apologies and I forgive you for your transgressions. Go in peace. In the context of reciprocity and a smiley and with this firm handshake I am excited to announce to the public that we now have peace in our times.. But where is the popcorn thread at now? Last edited by Replacement; 21-09-2018 at 10:24 AM. On a more topical note the new owner retrofitted the bar and dining area nicely in terms of the main things, the bar, and the flooring. I think its still in process of work as it seems that they had to go cheap with chairs and tables and such as probably the outlay was too prohibitive as a start up after purchase price and getting all the licensing moving. The outer deck still looks the same as before. But the inner part has been remodeled, just wanted to mention that. The bar looks sharp, for some reason I keep going to that..I mean my eyes. Like I said earlier I'll take a ride on this thing before the season closes and see what we think.